Is rugged, minimalist camping your thing? Check out this SylvanSport GO camper review. It’s exactly what you need – the Swiss Army knife of campers! If your real luxury when camping is simply experiencing the great outdoors, our SylvanSport GO campers for sale are for you! This super lightweight, compact camper is ready to go with you on all your off roading adventures. Check it out! 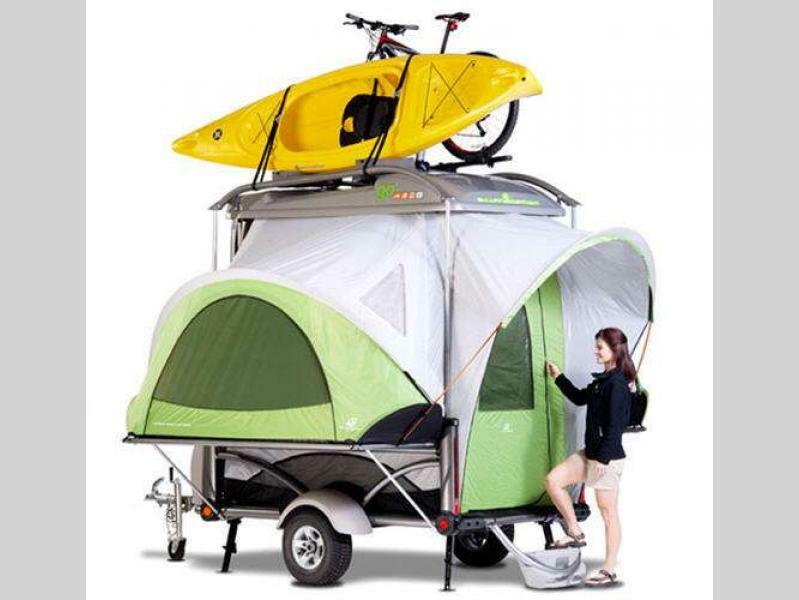 The SylvanSport GO camper is just under 11 feet long, but it packs an impressive punch – you can rack up to 6 kayaks or 6-8 bikes (up to four on top). Or you can remove the top and use it as an open top utility trailer. Sleeping four, the SylvanSport GO campers feature different bedding configurations so everyone can be comfortable. You’ll love its low profile design for minimum drag and incredible fuel efficiency, 800 lb load capacity, and 13” ground clearance and high flotation tires. Check out some of these other features! National Geographic Adventure ‘Best of Adventure Gear’ called the GO the “coolest camper ever!” And with good reason! 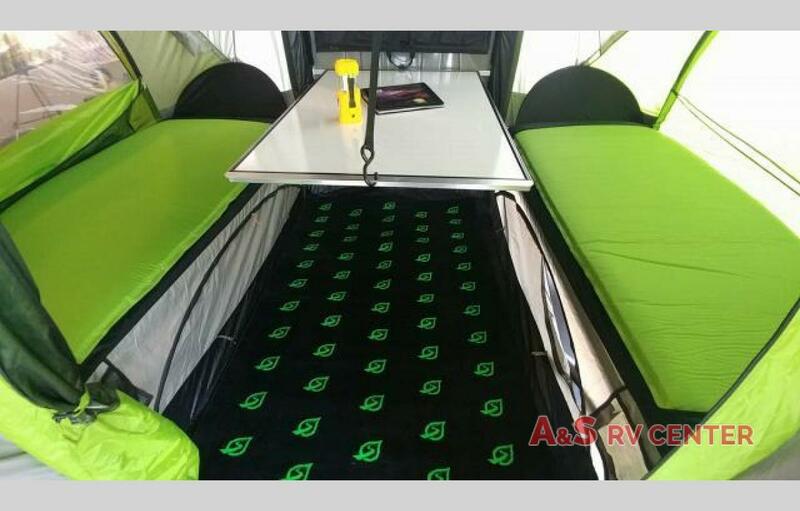 The interior features include insulated bed platforms and self-inflating air mattresses which can be configured in multiple ways from single beds to a king and a half. The waterproof tent system allows you to enjoy evenings outside and even sleep under the stars when the weather is perfect. It also affords you extra shade and space during the day. 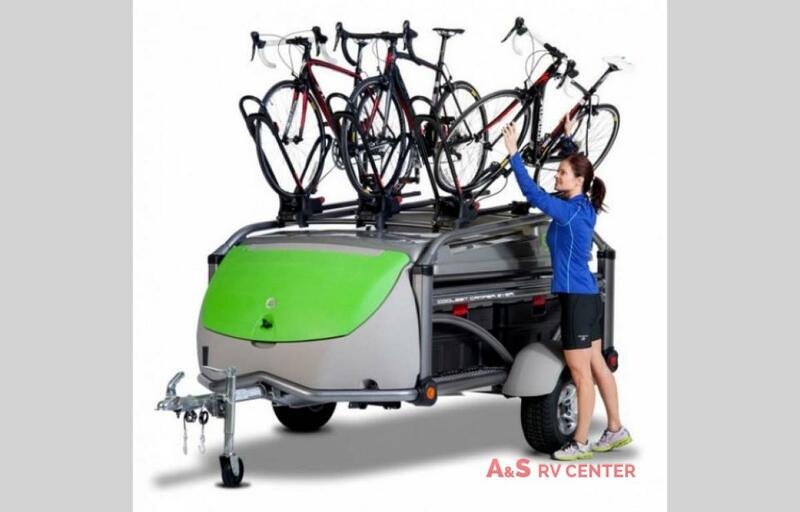 The SylvanSport GO camper is incredible versatile, whether you load it up for camping, to haul your gear, or as a utility trailer. 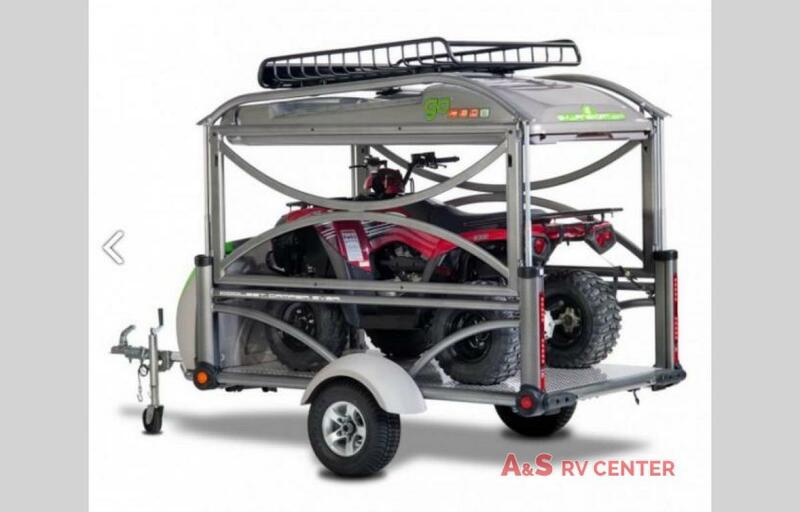 Check out our several SylvanSport GO campers for sale in our inventory and contact us today. Where do you want to GO? With the SylvanSport GO camper, the answer is: anywhere you want!